If the Baal Shem Tov was physically amongst us and could comment on the state of Chassidus today, what advice do you think he would give to help return us to his original intended path? "Every Chassidic approach is valid." This answer is obviously a matter of opinion and I start by making no claims as to how I would know what the Holy Baal Shem Tov would say and think. That being said, I believe that my answer has to take into account several things. First and foremost what was the Baal Shem Tov's goal and has it been achieved? The answer seems to be based on the Igeres Letter or epistle that the Baal Shem Tov sent to his brother-in-law Rabbi Gershon Kitover. In a letter to his brother-in-law, Rabbi Gershon Kitover, the Baal Shem Tov relates: "On Rosh Hashanah of the year 5507 [from creation] I made an 'ascent of soul' in the manner known to you... I ascended level after level until I reached the chamber of Moshiach... And I asked Moshiach: "When is the Master coming?" And he replied: "When your teachings will be disseminated and revealed in the world, and your wellsprings will spread to the outside..." (Keser Shem Tov 1:1). The Baal Shem Tov wanted Moshiach to come and his teachings were to bring this about. Moshiach has unfortunately not yet arrived so the only conclusion is that the Baal Shem Tov's teachings have not yet been fully disseminated and revealed. What is missing? This is a very difficult question. The Chassidic world has splintered into 4 major paths today: The Chabad School, The Galicianer School, The Polish School, and the Kabbalistic School. The Chabad and Galicianer schools are the oldest and we will begin there. Already after the Maggid of Mezritch when Chassidus reached its 3rd generation there was splintered leadership. 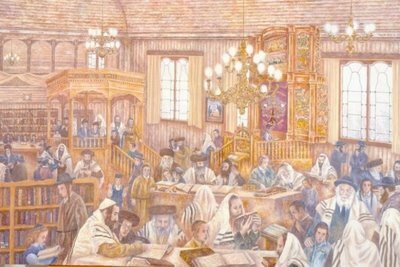 While there is no question that the majority of the Maggid's students rallied beneath the banner of the Rebbe Reb Melech of Lyzhansk, the Baal haTanya had already established Chabad's unique approach and philosophy and several Rebbes began dynasties of their own such as Czernoble and Karlin. Each Rebbe and dynasty focused on the Baal Shem Tov and the Maggid's teachings seeking to infuse Torah and Tefilah Learning and Prayer with the light of Chassidus, deep kabalistic understanding used for the path of Avoda and service to Hashem. 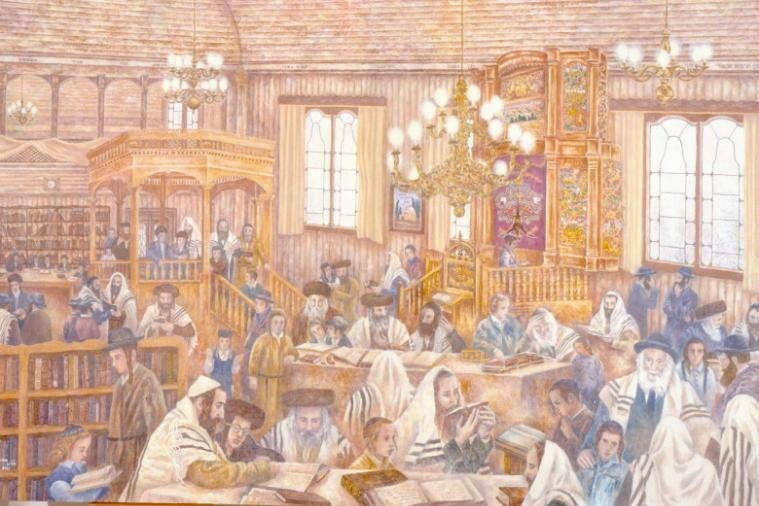 Once Chassidim began to rely on the Rebbe for material as well as spiritual needs the Polish schools broke off with the Yid haKadosh leaving the Chozeh of Lublin, and from here cam Rav Simcha Bunim of Peshischa and the Kotzker's path of spiritual self perfection and zeal for truth and emes. The Kabbalistic approach such as those of Ziditchov and Komarna claimed that one must study Kabbalah to understand the Baal Shem Tov's path. This most radical approach is best left out for now as almost no mass following exists for that approach. Chabad felt that the Baal Shem Tov's vision must be completed by the study of Chassidus and its dissemination in a deep way. Chabad therefore learns and studies Chassidus and Kabbalah in an organized and deep fashion with the use of long treatises, explanations and parables. Every Chassid is encouraged to learn this way and to daven with ecstacy from the learning. Chabad's understanding of the unique Tzadik in each generation as described in Tanya as their own leader and Nasi therefore quickly sets them apart. While I personally enjoy studying Chabad Chassidic philosophy when one compares it to early writings of the Baal Shem Tov's students there is an obvious difference. Chabad's school seems to be a different path than the Baal Shem Tov himself espoused. And to claim that only Chabad's leaders are the Nasi of each generation is obviously a take it or leave it claim. I not being a Chabad chassid cannot accept that path as the Baal Shem Tov's and while I admire it I do not think it is what he had in mind for all Chassidim its too lofty and difficult. The Polish approach was a reaction to the Galicianer path. After seeing Chassidim attaching themselves to a Rebbe and asking him for everything they set out to rebuild each Chassid individually. Again while I enjoy this approach and study its teachings it does not seem to me to be what the Baal Shem had in mind as its a reaction. I personally think that the Galicianer approach is closer to what the Baal Shem Tov had in mind even for the average simple Jew and for the masses. However over time much of the criticism that the Polish rebbes had has come true. The average Galicianer Chassid dresses, speaks, davens and acts the part of a Chassid but is he? On the other hand are Chabad and Polish approaches aiming too high for the masses? This question was debated by none other than the previous Lubavitcher Rebbe, Rabbi Menachem Mendel zatzal, and the Satmar Rav, Rebbe Yoel Teitelbaum zatzal. They disagreed on whether or not we could even really know the path of the Baal Shem Tov today or has it been lost? The Chabad Rebbe claimed that if we study the Baal Shem Tov's teachings we live his path, while the Satmar Rebbe said that exactly if we look at the teachings and seforim we see that we cannot understand them all and that they are not put into practice today the path has been lost. Who do I agree with? Both of them. Every Chassidic group today has some of both. Some Chassidim are born and raised and never think twice about what it means. Others study their Rebbe's teachings and work on themselves. So the classic Galicianer approach of a Rebbe to be attached to and gain from both spiritually and materially while studying Torah (Talmud, Chumash and codes of law first and Mussar Chassidic teachings second) and Prayer is approached in classic Chassidic fashion of dveykus this seems to be the path of the Baal Shem Tov which I think he would approve of. The larger problem are the large courts and dynasties where one must be careful not to be just one of the crowd. Chassidus has to be felt and that's the approach the Piaseczner the Aish Kodesh emphasized. Feeling and emotion breathing life into Torah study and prayer. If we all do that, we will hopefully be on the path the Baal Shem Tov wanted whether we go to Uman for Rosh HaShana, study Tanya or go to the tish. Every Chassidic approach is valid. Its what we each personally make of it. I think if we study the teachings of the Baal Shem Tov and the Maggid and attempt to put them into practice we will hasten the coming of Moshiach imy"h as the Baal Shem Tov saw in his vision. Chabad's understanding of the unique Tzadik in each generation as described in Tanya as their own leader and Nasi therefore quickly sets them apart. While I personally enjoy studying Chabad Chassidic philosophy when one compares it to early writings of the Baal Shem Tov's students there is an obvious difference. Chabad's school seems to be a different path than the Baal Shem Tov himself espoused. Quite true. Reference should be made to the Maggid's words to Rebbe Schneur Zalman on his deathbed: "You will remain alone, you are for yourself -- you have your own way. You will need a lot of help from Heaven. I will yearn for you very much, and G-d willing, I will save you from your troubles." The breakdown of the three schools as "Chabad, Galicianer, and Polish" I think can be somewhat confusing. Rather than Galicianer, I would use the term "Chagas" [chessed-gevura-tiferes] which represents those not of the Chabad school, and would include Chassidim of the Ukraine, Romania, Hungary and some of the Polishers as well. Let us recall that NOT ALL of the Polish Chassidim went with Pshischa [later Kotzk and Ger]. Kozhnitz [later Grodzisk, Piasecno] stayed with Chagas, as did Kuzmir [later Zvolin and Modzitz]. How would you classify Ishbitz [later Lublin, Radzin]? But thank you for a very informative piece! I strongly disagree with Rabbi Tal Zwecker concerning Breslov. I don't like in general the term Chagas as well, as a description of any Chasidus except Chabad. It is totally misleading. Chasidus is much more diverse and multifaceted than this. How would you classify Koretz, Bershad? And what about Linitz and Monistrich? And how would you classify Zhitomir school of chasidus? (Talmidim of Reb Zeeb Volf miZhitomir zy"o). Their sforim are amazing with their brilliant depth and intensity, I can write more about them other time may be. And what about talmidim of Kdushas Leyvi? Look for example at "Toldoys Aharon" from Reb Aharon miZhitomir zy"o (he was a talmid of Kdushas Leyvy). His seyfer is fire! And it's depth is apparent right away, as well as his strong adherence to the alive teachings of the Baal Shem Tov (about dveykus, hisboydedus and much more). Those chasidic groups doesn't exist any more (this may be the reflection of the problem discussed below), but they remind me Breslov much more than what you call "Galitzianer", and Hungarish. Satmar Rebe ztz”l himself noted, that in Breslov chasidus even today is like it was in time of the Baal Shem Tov! I personally think that Hungarish chasidus turned to be the most distanced from Baal Shem Tov intention, which was confirmed by the Satmar Rebe himself (in his famous statement). But he wasn't the first to make such a statement. It was made much earlier by Tzanzer Rov. Also see further about such statement in Breslov. To be honest - Galitzianer and Hungarish aren't totally the same, but in this context they are pretty close. Galitzianer chasidus has few outsanding exceptions though - Dinov, Bluzhev, Munkatch for example. Zhiditchov and Komarno you already mentioned. > and revealed in the world, and your wellsprings will spread to the outside..." (Keser Shem Tov 1:1). Why is the end of this phrase skipped so often in quotations? The end is not less important! The end is - "and they will be able to make aliyos like you" (i.e. chasidim will be able to make aliyas haneshomo like Baal Shem Tov did). Aren't you amazed about this statement? How far are we from this do you think? Now about Kabolo, Chasidus and Breslov. First of all: 1. Serious Breslover chasidim hold the learning of Kabolo as high imoprtance (and for understanding Chasidus as well). 2. Serious Breslover chasidim learn ALL sforim of talmidey Baal Shem Tov and talmidey hoMaggid (and their talmidim) in addition to Brelover sforim. > Rabbi Menachem Mendel zatzal, and the Satmar Rav, Rebbe Yoel Teitelbaum zatzal. > Baal Shem Tov today or has it been lost? As I said, this phenomenon was noticed much earlier. In the forth generation after the Baal Shem Tov (i.e. the next after talmidey hoMaggid) this strange process started to get strong. Rebe zy”o says in Chayey Moharan (not a literal exact quote, but meamning is the same): "The light of Baal Shem Tov left. But we have to leave talmidim, who would have the light and who will transfer it to their talmidim and so on"). Rebe himself commented on this phenomenon already in his time! And said that he wants to keep his light for further generations. That what Lubavitcher Rebe meant as I understand about Chabad as well. He held, that Chabad preserved the light as well, while others admitted that it was lost (except Breslov and notably Izhbitz/Radzin). This is a spiritual phenomenon, and not just a social or cultural shift to chitzoynius in Hungarisher Chasidus. This phenomenon is apparent in a strange thing, that sforim until that fourth generations are full with what can be called Baal Shem Tov's Chasidus. After that it rapidly dissapeares from the focus, except few rare exceptions. Even in Chabad in time of the Rashab this crisis was apparent and he writes about it. In even later period, tzadikim (but very few) are almost screaming about this crisis (look in Pyasetchner sforim). So I think the difference here is not Chabad/Chagas/Galitzianer etc. It is a qualitatively difference. Before this spiritual decline happened, chasidim with all their differences (different talimdim of Baal Shem Tov, different talmidim of the Maggid, and next generation) had much in common with regards to the pnimius of Chasidus. After that – rapid decline happened. Breslovers believe that Rebbe left his light to counteract this decline. And what about others? I've heared a shiur from Reb Motl Zilber (Stuchiner Rov, one of the biggest teachers of Chasidus and Kabolo in America) about “Derech Baal Shem Tov”. He said their straightforward – the light of the Baal Shem Tov has left. But as known kdusho doesn't go away without leaving a reshimo (look in Ramak for example). The reshimo of the light of Baal Shem Tov is still tremendously great and we have to work with it! Now I understand his words better. For those who aren't Breslovers (Chabad also believes that they preserved this light, as well as did Izhbitz and Radzin) there is no other way, rather to work with this reshimo, but to really work and not to fall into complete chitzoynius of things. First when I saw about it in Chayey Moharan (that the light of the Baal Shem Tov left somehow) I found it very hard to understand. How is it? But after I've seen and heared more about it I understood it better, even though it is very unpleasant to know. Writing as someone who is very slowly dipping his two into Chassidus I am grateful for the clarity of Rabbi Zwecker's article. My comment is more a question. At the moment I am equally attracted to Chabad and Breslov. I cannot comment on the others as unless their works are translated into English I find them inaccessible. But where does this leave me. How do I choose and is a choice necessary?